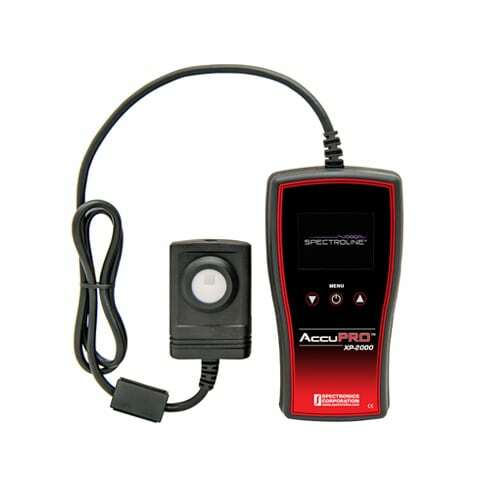 The AccuPRO™ (XP-2000) readout unit features a single dual-wavelength sensor detector designed to measure both ultraviolet and visible light. 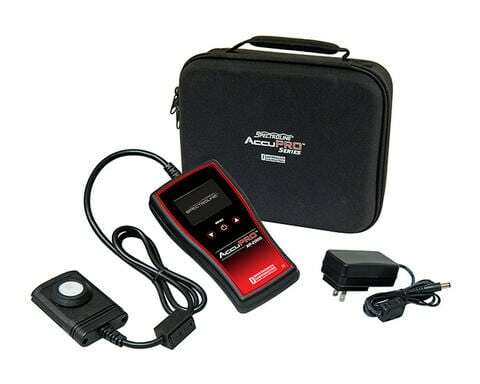 The AccuPRO™ meter features a dual-wavelength UV/visible light sensor, while the AccuPRO™ Plus (shown) features a 3-in-1 sensor that measures UV, visible and blue light. 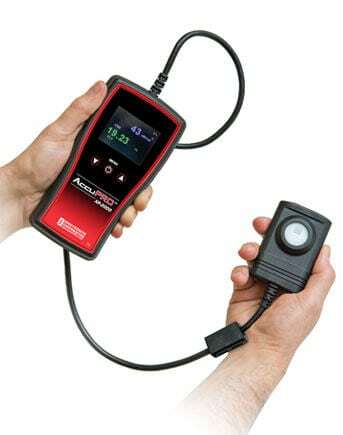 AccuPRO™ Plus unit also measures BLUE light! Four “AAA” nickel-metal hydride batteries (rechargeable). AC charger included. 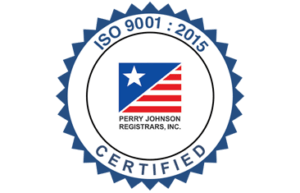 Available in 120V, 230V, 240V or 100V versions.